The Rental Unit was one of the staff houses. In 2003, this unit was remodeled into a two-bedroom rental unit. 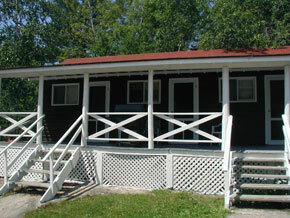 This cabin is located next to the main lodge and is adjacent to the lodge's laundry facility and the fishing and hunting guides' quarters. 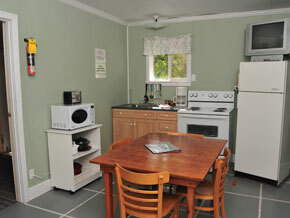 This unit can be rented with the 2 bedrooms and kitchen area or with one bedroom and kitchen area or one bedroom only. The unit is extremely clean. It features a dinning area / kitchen with table and four chairs and love seat sofa, 2 bedrooms each with a 3-piece bathroom. This unit sleeps up to 3 people. 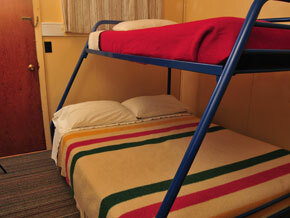 One bedroom has 2 single beds and the other has a double bed. 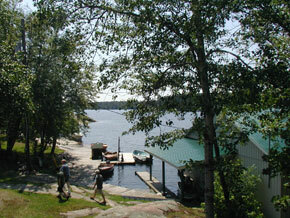 The view from the Rental Unit features the bay coming into the lodge area along with boathouse and the main dock area. This is a drive to cabin. 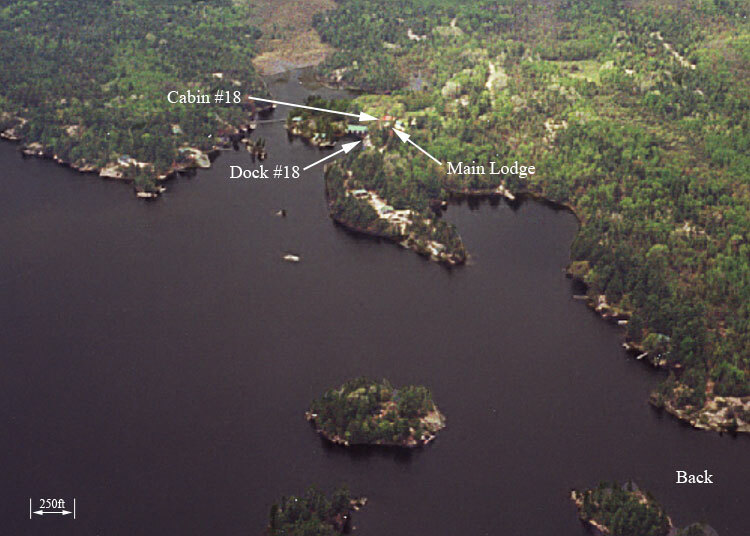 Its dock is shared and easily fits 1 private or rental boat.